Ahn Gil­mo, a young math savant, he escapes from the most isolated country in the world and searches for the only family he has left. 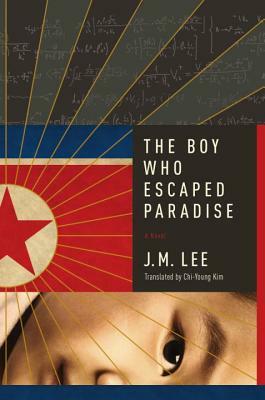 A labyrinthine book that weaves through Pyongyang’s choreographed celebrations to Yanji’s back alleys to Seoul’s refugee community, The Boy delivers a haunting journey through the eyes of a young man with Asperger syndrome … Jumping back and forth between Gil-mo’s years on the run and his interrogation by the FBI makes for a clunky and rushed narrative at times, but the novel still offers a fascinating story reminiscent of a North Korean Slumdog Millionaire. This, of course, isn’t a true-to-life tale, but Lee successfully reveals how fortunes can change overnight for society’s most vulnerable refugees … The novel hits a satisfactory end that feels authentic. Lee’s novel touches on the literary need for character-driven stories that move beyond the strangeness and horror of life under the North Korean state. This, along with its thriller-like pace, make The Boy Who Escaped Paradise worth a read. With regular allusions to Homer, Lee takes his modern-day Odysseus on a journey of epic proportions after he escapes the camp in order to keep his promise to Kang. The characters Gil-mo encounters as he follows Yeong-ae's trail from Asia to North America rival the complexity of Homer's. From the compassion of Gil-mo's best friend who gives him his gloves as Gil-mo is carted away, to the vile greed of the prison camp warden who profits from the boy's naiveté, a spectrum of players make The Boy Who Escaped Paradise riveting … The novel is a reminder of the power of numbers, but one doesn't need to be a math fan to appreciate the brilliance of this work. The language is mesmerizing, illustrating the logic of Gil-mo's mind as clearly for the audience as it functions for the boy. There is plenty to admire in [Lee’s] novel, The Boy Who Escaped Paradise, particularly its suspense; yet I oddly couldn’t get Lisbeth Salander’s struggle against various evil forces out of my mind when I observed the antics, the obstacles, and the ruses Gilmo (Lee’s main character) employs to, ultimately, reach his success. Success might be defined here in the usual Western way: money, even though Gilmo appears to be uninterested in getting financial stability … The story is often breathless in its pace given the fact that only about four years are covered once Gilmo has escaped from North Korea. The translation from the Korean by Chi-Young Kim is as smooth as the surface of a pond. J. M. Lee’s cleverness as a storyteller is a continual delight. What did you think of The Boy Who Escaped Paradise?